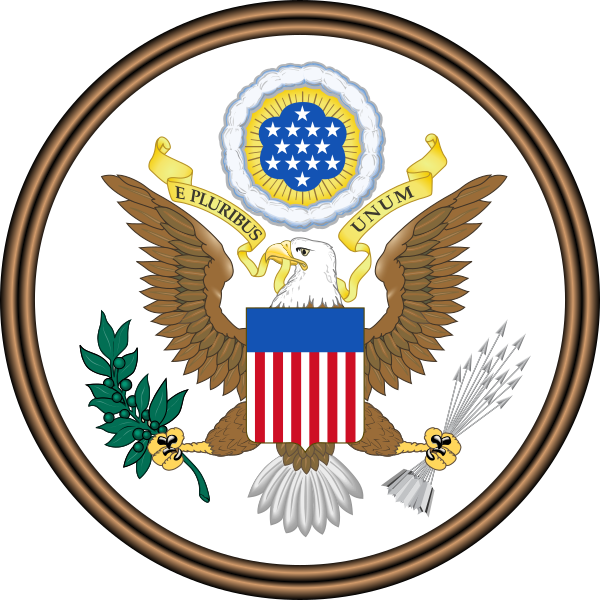 The Promotion of the Welfare and Hygiene of Maternity and Infancy Act, more commonly known as the Sheppard–Towner Act, was a 1921 U.S. Act of Congress that provided federal funding for maternity and child care. It was sponsored by Senator Morris Sheppard (D) of Texas and Representative Horace Mann Towner (R) of Iowa, and signed by President Warren G. Harding on November 23, 1921. The Sheppard–Towner Act was the first venture of the federal government into social security legislation and the first major legislation that came to exist after the full enfranchisement of women. This marked the political and economic power of women's issues since the bill was passed due to the organization and influence of the Children's Bureau and the newly formed Women's Joint Congressional Committee. Before its passage, most of the expansion in public health programs occurred at the state and local levels. The act played an important role in the medicalization of pregnancy and childbirth, the decrease in infant mortality rates, and the expansion of federal welfare legislation in the twentieth century United States. The political and social organization and activism by women in the Progressive Era led to the establishment of the United States Children's Bureau in the Department of Labor. The bureau was staffed and run largely by white women professionals with backgrounds in medicine, social science, and the settlement movement. Reports from the Children's Bureau that found 80% of all expectant mothers did not receive any advice or trained care. The Bureau also investigated high rates of infant and maternal mortality rates. After examining 23,000 infants, they concluded that the infant mortality rate was 111.2 deaths per 1000 live births, which was higher than most other industrialized countries. The research by the Children's Bureau asserted that many infant deaths were preventable and attributed them to the lack of infant care knowledge. Women in rural areas, for example, had limited access to medical care and professional treatment. Less than half the women in a rural area in Wisconsin were attended to by doctors, and even then, the doctors sometimes arrived post-birth to cut the cord. The study also found a correlation between poverty and mortality rate. If a family earned less than $450 annually, one in six babies died within the first year; between $640 and $850, one in ten; over $1250, one in sixteen. The Children's Bureau allied with other women's groups like the Women's Joint Congressional Committee in the wake of the passage of the Nineteenth Amendment to advocate for an act to improve medical care for women and children. Their advocacy constitutes an example of maternalist reform on a federal level. Representative Horace Mann Towner (R-Iowa) and Senator Morris Sheppard (D-Texas) introduced the bill in 1920. It was modeled after a similar bill presented in the previous session by Representative Jeannette Pickering Rankin (R-Montana) and sponsored by Julia Lathrop, head of the Children's Bureau. The Senate passed the bill in December 1920 after debates about funding and administration. The House did not vote on the bill since the hearings were held at the end of December. Opposition to the bill included the anti-suffragist Women Patriot Corporation and the American Medical Association, who feared that government intervention would lead to non-medical provisions of medical services. However, the opposition was yet not as organized as the Women's Joint Congressional Committee, Children's Bureau, and other allies. President Harding endorsed the bill in April 1921 and it was reintroduced to congress. The House passed the bill 279 to 39, and the Senate passed it 63 to 7. The act provided a guide to the instruction of hygiene of maternity and infancy care through: 1) public health nurses, visiting nurses, consultation centers, and childcare conferences; 2) the distribution of educational materials on prenatal care, and 3) the regulation and licensure of midwives. Appropriation of $1,480,000 for fiscal year 1921-1922 and $1,240,000 for the next five years ending in June 30, 1927 were made for the act. Of the funds, $5000 would go to each state with a dollar for dollar matching up to an explicit cap determined by the state's population. Costs of administering the program would not exceed $50,000. This program was administered by Children's Bureau, though the states could decide how to utilize the money themselves. The Sheppard–Towner Act led to the creation of 3,000 child and maternal health care centers, many of these in rural areas, during the eight years it was in effect. The Children's Bureau worked extensively with state-level departments of health to advise them on how to use Sheppard-Towner funding. Participation in the program varied. States that had recently extended suffrage to women, such as North Carolina, Pennsylvania, or Alabama, tended to have higher participation levels in an effort to appeal to newly-enfranchised voters. States with a longer history of women's suffrage tended to be less involved in the program, including Idaho, Colorado, and Washington. Massachusetts, Connecticut and Illinois never participated in the program. At the time of the passage of the Sheppard-Towner Act, nearly half of all births in the United States were attended by midwives or other lay caretakers. The percentage was higher in the South, especially among African Americans. The Sheppard-Towner Act provided for training and licensure of midwives in an effort to decrease infant mortality, although the higher numbers of infant deaths in black and Hispanic communities were often caused by the effects of poverty rather than by the work of midwives. Public health workers' emphasis on pregnancy and childbirth as a medical process often led them to dismiss the folk traditions and knowledge of midwives, especially among African Americans in the South. Midwife licensure and associated Sheppard-Towner programs that encouraged reliance on medical professionals contributed to a significant–but not complete–decline in the practice midwifery in the United States. By 1930, midwife-attended childbirths dropped to 15% nationwide, while African-Americans in the South continued to rely heavily on midwives well into the mid-twentieth century. The overall U.S. infant mortality rate in 1922 was 76.2 deaths per 1000 live births. By the time that Sheppard-Towner was repealed in 1929, the infant mortality rate had fallen to 67.6, with a net decrease of 9.6 deaths per 1000 live births. There was already a downward trend in infant mortality during the 1920s; not all of the decrease was due to Sheppard-Towner. States that spent one standard deviation of money on "child-life", or approximately $27, reduced infant mortality on average by 2.8 deaths per 1000 live births. States that spent one standard deviation of money on health and sanitation, or approximately $188, reduced infant mortality on average by 6.27 deaths per 1000 live births. Home nurse visits reduced infant mortality on average by 1.8 deaths per 1000 live births. One standard deviation increase of the number of health centers decreased infant mortality on average by 2.25 deaths per 1000 people. An increase in 30 "prenatal letters", letters that provided information on prenatal and well-child care, decreased infant mortality on average by 0.2 deaths per 1000 live births. There were different effects on white and non-white populations of states that decided to participate in Sheppard-Towner. For whites, one standard deviation of spending on child life reduced 1.5 deaths per 1000 live births, and one standard deviation of spending on health and sanitation reduced infant mortality by 3.8 deaths per 1000 live births while for non-whites both had no statistically significant effect on reductions. Nursing visits reduced white infant mortality by 1.2 deaths per 1000 live births while non-whites with the same nursing visits had 8.7 decrease in infant mortality. With the health centers that were constructed, 1.9 deaths per 1000 live births were reduced for white infant mortality and 8.4 deaths per 1000 live births were reduced for non-white infant mortality. Finally for prenatal letters, white infant mortality was reduced by 0.2 deaths per 1000 live births and non-white infant mortality reduction was not statistically significant. Overall mortality rate would have been 0.7 and 1.9 deaths per 1000 births higher without Sheppard-Towner. That would make up 9 and 21 percent of the decline of infant mortality during the enactment of the act. Aggregate effect of Sheppard-Towner was driven primarily by the non-white populations. White infant mortality rate would have been 0.15 to 1.0 deaths higher whereas non-white rate would have been 9.9 to 13 deaths higher. Federal appropriation for Sheppard-Towner was $776,676.54, suggesting that one infant death could be prevented for between $118 and $512 in federal expenditures. Cases brought to the Supreme Court claiming the act was unconstitutional were dismissed in 1923. The act was due for renewal in 1926, but was met with more vocal, organized opposition than in 1921. The American Medical Association saw the act as a socialist threat to its professional autonomy and increased their lobbying efforts, despite the Pediatric Section of the AMA House of Delegates' endorsement of the act's renewal. The rebuking of the Pediatric Section by the full House of Delegates led to the members of the Pediatric Section establishing the American Academy of Pediatrics. In the Journal of the American Medical Association, members of the AMA also critiqued the role of lay women administrators in the Children's Bureau, arguing that the administration of mother and infant health policy should take place under the medical, predominantly male leadership of the Public Health Service. As a compromise, the Sheppard-Towner Act was extended for another two years and expired on June 30, 1929. Women's groups unsuccessfully continued to organize and revive the act in the following years. Sheppard-Towner set the framework for the inclusion of substantial provisions for maternal and infant care in the Social Security Act of 1935. ^ a b "The Sheppard–Towner Maternity and Infancy Act". History, Art & Archives. United States House of Representatives. Retrieved 21 October 2017. ^ Barker, Kristin (Summer 2003). "Birthing and Bureaucratic Women: Needs Talk and the Definitional Legacy of the Sheppard-Towner Act". Feminist Studies. 29: 333–355 – via JSTOR. ^ Almgren, Gunnar; Kemp, Susan P.; Eisinger, Alison (2000). "The Legacy of Hull House and the Children's Bureau in the American Mortality Transition". Social Service Review. 74 (1): 1–27. doi:10.1086/514458. JSTOR 10.1086/514458. ^ BELLINGHAM, BRUCE; MATHIS, MARY PUGH (1994). "Race, Citizenship, and the Bio-politics of the Maternalist Welfare State: "Traditional" midwifery in the American South under the Sheppard-Towner Act, 1921–29". Social Politics. 1 (2): 157–189. doi:10.1093/sp/1.2.157. ISSN 1072-4745. ^ a b Barker, Kristin (May 1998). "Women Physicians and the Gendered System of Professions: An Analysis of the Sheppard-Towner Act of 1921". Work and Occupations. 25 (2): 229–255. doi:10.1177/0730888498025002005. ^ Moehling, Carolyn M.; Thomasson, Melissa A. (2012). "The Political Economy of Saving Mothers and Babies: The Politics of State Participation in the Sheppard-Towner Program". The Journal of Economic History. 72 (1): 75–103. doi:10.1017/S0022050711002440. ISSN 1471-6372. ^ Ladd-Taylor, Molly (1988). "'Grannies' and 'Spinsters': Midwife Education under the Sheppard-Towner Act". Journal of Social History. 22 (2): 255–275. doi:10.1353/jsh/22.2.255. JSTOR 3788221. ^ Lemons, J. Stanley. "The Sheppard-Towner Act: Progressivism in the 1920s." The Journal of American History 55, no. 4 (1969): 776-786. ^ "Harding Signs Sheppard-Towner Act–November 23, 1921." American President A Reference Resource. Miller Center, Univ. of VA. Web. Retrieved 1 March 2012. ^ Siegel, Benjamin S.; Alpert, Joel J. (2006). "The profession of pediatrics". In Kliegman, Robert M.; Marcdante, Karen J.; Jenson, Hal B.; Behrman, Richard E. (eds.). Nelson essentials of pediatrics (5th ed.). Philadelphia: Elsevier Saunders. pp. 1–14. ISBN 978-1-4160-0159-1. ^ Barker, Kristin (May 1998). "Women Physicians and the Gendered System of Professions: An Analysis of the Sheppard-Towner Act of 1921". Work and Occupations. 25 (2): 229–255. doi:10.1177/0730888498025002005. ^ Cott, Nancy (1994). Social and Moral Reform. K.G. Saur. ISBN 978-3-11-097109-5.
. (1999). "Sheppard-Towner Act". In Carson, Thomas; Bonk, Mary (eds.). Gale encyclopedia of U.S. economic history, vol. 2. Detroit: Gale Cengage. p. 915. ISBN 978-0-7876-3888-7. U.S. Congress (1921). Protection of maternity: hearing before the Committee on Education and Labor, U.S. Senate, 67th Congress, 1st session, on S.1039, a bill for the public protection of maternity and infancy, on April 25, 1921. Washington, D.C.: U.S. G.P.O. OCLC 40658009. U.S. Congress (1921). Public protection of maternity and infancy: hearings before the Committee on Interstate and Foreign Commerce, U.S. House of Representatives, 67th Congress, 1st session, on H.R. 2366, on July 12, 13, 14, 15, 16, 18, 19, 20, 21, 22, and 23, 1921. Washington, D.C.: U.S. G.P.O. OCLC 13768477. Wertz, Richard W.; Wertz, Dorothy C. (1989). "Government involvement". Lying-in: a history of childbirth in America (expanded ed.). New Haven: Yale University Press. pp. 201–233. ISBN 978-0-300-04088-3. Ladd-Taylor, Molly (1992). "Federal help for mothers: the rise and fall of the Sheppard-Towner Act in the 1920s". In Helly, Dorothy O.; Reverby, Susan M. (eds.). Gendered domains: rethinking public and private in women's history. Ithaca: Cornell University Press. pp. 217–227. ISBN 978-0-8014-2444-1. Loudon, Irvine (1992). "The geography and politics of maternal care in the USA: introduction". Death in childbirth: an international study of maternal care and maternal mortality, 1800–1950. Oxford: Clarendon Press. pp. 274–280. ISBN 978-0-19-822997-1. Skocpol, Theda (1992). "Statebuilding for mothers and babies: the Children's Bureau and the Sheppard-Towner Act". Protecting soldiers and mothers: the political origins of social policy in the United States. Cambridge, Mass. : Belknap Press of Harvard University Press. pp. 480–524. ISBN 978-0-674-71765-7. Ladd-Taylor, Molly (1994). "'We mothers are so glad the day has come': mothers' work and the Sheppard-Towner Act". Mother-work: women, child welfare, and the state, 1890–1930. Urbana: University of Illinois Press. pp. 167–196. ISBN 978-0-252-02044-5. Johnson, Kimberly S. (2007). "From healthy babies to the welfare state: the Sheppard-Towner Act of 1921". Governing the American state: Congress and the new federalism, 1877–1929. Princeton: Princeton University Press. pp. 136–155. ISBN 978-0-691-11974-8. Ada Estelle Schweitzer (August 29, 1872 – July 2, 1951) was an American public health advocate for women and infants in Indiana, an expert in infant health care, and a pioneer in public health in the early twentieth century. As the director of the Indiana State Board of Health's Division of Child and Infant Hygiene from 1919 to 1933, Schweitzer is best known for organizing and supervising Indiana's Better Baby contests at the Indiana State Fair from 1920 to 1932. Schweitzer's and her staff's educational outreach activities also helped change attitudes about child and maternal health. Statistics confirm that the state's infant mortality rate decreased during her years as a public health leader in Indiana to the fourth lowest in the United States, an accomplishment that was partly attributed to the efforts of her division. In addition to her work for Indiana's State Board of Health, Schweitzer was the author of numerous articles on children's health and was elected as president of the American Association of Women in Public Health in 1928. Schweitzer's public health advocacy was controversial due to the influence of the eugenics movement in the United States. The Progressive Era reformer supported Indiana's eugenic marriage and sterilization laws, which were ruled unconstitutional, while she promoted and encouraged efforts to improve maternal, prenatal, and pediatric care across Indiana. Although the Better Baby contests that Schweitzer supervised were credited with educating the public about raising healthier children and helping to lower infant mortality, the contest's exclusionary practices reinforced social class and racial discrimination because they were limited to white infants. African American and immigrant children were barred from the competitions. The American Academy of Pediatrics (AAP) is an American professional association of pediatricians, headquartered in Itasca, Illinois. It maintains its Department of Federal Affairs office in Washington, D.C.
Amy Cassandra Brown Lyman (February 7, 1872 – December 5, 1959) was the eighth general president of the Relief Society of The Church of Jesus Christ of Latter-day Saints (LDS Church) from 1940 to 1945. Lyman also served a term as a member of the 14th Utah State Legislature from 1923 to 1924. Arthur Thomas McCormack (August 21, 1872 – August 7, 1943) was an American physician best known for serving as the chief public health officer of the Kentucky Department of Health from 1913 to 1943. He was also secretary of the Kentucky Medical Association and editor of the Journal of the Kentucky Medical Association for more than thirty years. He served as president of the American Public Health Association in 1938, the Southern Medical Association in 1940 and the Association of State and Territorial Health Officials (ASTHO) in 1923. Every year since 1950, the ASTHO has presented the Arthur McCormack award to a distinguished North American public health official. Florence Kelley (September 12, 1859 – February 17, 1932) was a social and political reformer and the pioneer of the term wage abolitionism. Her work against sweatshops and for the minimum wage, eight-hour workdays, and children's rights is widely regarded today. From its founding in 1899, Kelley served as the first general secretary of the National Consumers League. In 1909, Kelley helped to create the National Association for the Advancement of Colored People (NAACP). The Fourth Party System is the term used in political science and history for the period in American political history from about 1896 to 1932 that was dominated by the Republican Party, excepting the 1912 split in which Democrats held the White House for eight years. American history texts usually call the period the Progressive Era. The concept was introduced under the name "System of 1896" by E.E. Schattschneider in 1960, and the numbering scheme was added by political scientists in the mid-1960s.The period featured a transformation from the issues of the Third Party System, which had focused on the American Civil War, Reconstruction, race, and monetary issues. The era began in the severe depression of 1893 and the extraordinarily intense election of 1896. It included the Progressive Era, World War I, and the start of the Great Depression. The Great Depression caused a realignment that produced the Fifth Party System, dominated by the Democratic New Deal Coalition until the 1960s. The central domestic issues concerned government regulation of railroads and large corporations ("trusts"), the money issue (gold versus silver), the protective tariff, the role of labor unions, child labor, the need for a new banking system, corruption in party politics, primary elections, the introduction of the federal income tax, direct election of senators, racial segregation, efficiency in government, women's suffrage, and control of immigration. Foreign policy centered on the 1898 Spanish–American War, Imperialism, the Mexican Revolution, World War I, and the creation of the League of Nations. Dominant personalities included presidents William McKinley (R), Theodore Roosevelt (R) and Woodrow Wilson (D), three-time presidential candidate William Jennings Bryan (D), and Wisconsin's progressive Republican Robert M. La Follette, Sr..
Horace Mann Towner (October 23, 1855 – November 23, 1937) served over six terms as a Republican United States Representative from Iowa's 8th congressional district, and six years as the appointed Governor of Puerto Rico. In an era in which the federal government's role in health and education was small, he was an early leader of efforts to expand that role. Ionia Rollin Whipper (1872–1953) was an African American obstetrician and public health outreach worker. A 1903 graduate of Howard University School of Medicine, she was one of the few African-American women physicians of her generation. During the mid-1920s, she worked for the United States Children's Bureau; her work there involved traveling the rural South and training midwives to use sterile delivery techniques and to register births. During a time when maternity homes for unwed mothers were for white women only, she opened her home to unwed mothers of color. Eventually, with the help of donations, she established a separate home for her work with these women, which still bears her name. James Alexander Reed (November 9, 1861 – September 8, 1944) was an American Democratic Party politician from Missouri. Jeannette Pickering Rankin (June 11, 1880 – May 18, 1973) was an American politician and women's rights advocate, and the first woman to hold federal office in the United States. She was elected to the U.S. House of Representatives as a Republican from Montana in 1916, and again in 1940. As of 2019, she remains the only woman Montana has elected to Congress. Each of Rankin's Congressional terms coincided with initiation of U.S. military intervention in each of the two world wars. A lifelong pacifist, she was one of 50 House members who opposed the war declaration of 1917. Years later she was also the only member of Congress to vote against declaring war on Japan after the attack on Pearl Harbor in 1941. A suffragist during the Progressive Era, Rankin organized and lobbied for legislation enfranchising women in several states including Montana, New York, and North Dakota. During her victory speech following her first election to the House of Representatives, she recognized the power she held as the only woman able to vote in Congress, saying "I am deeply conscious of the responsibility resting upon me". While in Congress, she introduced legislation similar to what would eventually became the 19th Constitutional Amendment, granting unrestricted voting rights to women nationwide. She championed the causes of women's rights and civil rights throughout a career that spanned more than six decades. Maud Wood Park (January 25, 1871 – May 8, 1955) was an American suffragist and women's rights activist. John Morris Sheppard (May 28, 1875 – April 9, 1941) was a Democratic United States Congressman and United States Senator from Texas. Because he authored the Eighteenth Amendment (Prohibition) and introduced it in the Senate, he is referred to as "the father of national Prohibition." The Progressive Era was a period of widespread social activism and political reform across the United States that spanned from the 1890s to the 1920s. The main objectives of the Progressive movement were eliminating problems caused by industrialization, urbanization, immigration, and political corruption. The movement primarily targeted political machines and their bosses. By taking down these corrupt representatives in office, a further means of direct democracy would be established. They also sought regulation of monopolies (trust busting) and corporations through antitrust laws, which were seen as a way to promote equal competition for the advantage of legitimate competitors. Many progressives supported prohibition of alcoholic beverages, ostensibly to destroy the political power of local bosses based in saloons, but others out of a religious motivation. At the same time, women's suffrage was promoted to bring a "purer" female vote into the arena. A third theme was building an Efficiency Movement in every sector that could identify old ways that needed modernizing, and bring to bear scientific, medical and engineering solutions; a key part of the efficiency movement was scientific management, or "Taylorism". The middle class was in charge for helping reform the Progressive Era, and they got stuck with all of the burdens of this reformation. In Michael McGerr's book A Fierce Discontent, Jane Addams stated that she believed in the necessity of "association" of stepping across the social boundaries of industrial America.Many activists joined efforts to reform local government, public education, medicine, finance, insurance, industry, railroads, churches, and many other areas. Progressives transformed, professionalized and made "scientific" the social sciences, especially history, economics, and political science. In academic fields the day of the amateur author gave way to the research professor who published in the new scholarly journals and presses. The national political leaders included Republicans Theodore Roosevelt, Robert M. La Follette Sr., and Charles Evans Hughes and Democrats William Jennings Bryan, Woodrow Wilson and Al Smith. Leaders of the movement also existed far from presidential politics: Jane Addams, Grace Abbott, Edith Abbott and Sophonisba Breckinridge were among the most influential non-governmental Progressive Era reformers. Initially the movement operated chiefly at local level, but later it expanded to state and national levels. Progressives drew support from the middle class, and supporters included many lawyers, teachers, physicians, ministers, and business people. Some Progressives strongly supported scientific methods as applied to economics, government, industry, finance, medicine, schooling, theology, education, and even the family. They closely followed advances underway at the time in Western Europe and adopted numerous policies, such as a major transformation of the banking system by creating the Federal Reserve System in 1913 and the arrival of cooperative banking in the US with the founding of the first credit union in 1908. Reformers felt that old-fashioned ways meant waste and inefficiency, and eagerly sought out the "one best system". Sadie L. Adams (February 24, 1872 – July 30, 1945) was an African American teacher, suffragette, and clubwoman. She was one of the first women to serve on an election board in Chicago and one of the founders of the Douglas League of Women Voters. In 1916, she served as a delegate from Chicago's first black suffrage organization, the Alpha Suffrage Club, to the National Equal Rights League conference. She was elected president of the Chicago and Northern District Association of Colored Women's Clubs in 1921, serving into 1934. Tariff Reform: This came through the passage of the Underwood Tariff Act of 1913, which lowered tariffs for the first time since 1857 and went against the protectionist lobby. Business Reform: This was established through the passage of the Federal Trade Commission Act of 1914, which established the Federal Trade Commission to investigate and halt unfair and illegal business practices by issuing "cease and desist" orders, and the Clayton Anti-Trust Act. Banking Reform: This came in 1913 through the creation of the Federal Reserve System and in 1916 through the passage of the Federal Farm Loan Act, which set up Farm Loan Banks to support farmers. The Women's Joint Congressional Committee was an American coalition of existing women's rights organizations formed after women gained the right to vote in 1920, with the aim of coordinating lobbying around women's issues at the national level. Active from 1920 to 1930, this umbrella organization included the League of Women Voters, the Women's Trade Union League, and the National Consumers' League, eventually coming to represent 12 million women.